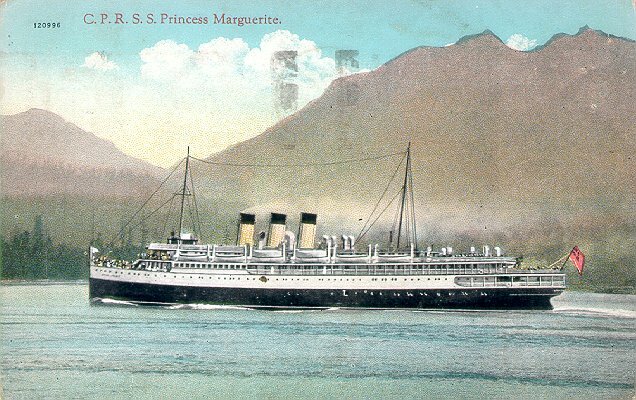 Built by John Brown & Co., Glasgow, Princess Marguerite was launched in 1924. Her maiden voyage was on 25 March 1925, from Glasgow to Vancouver via Panama. From there she entered the Vancouver-Victoria-Seattle coastal service for which she was built. 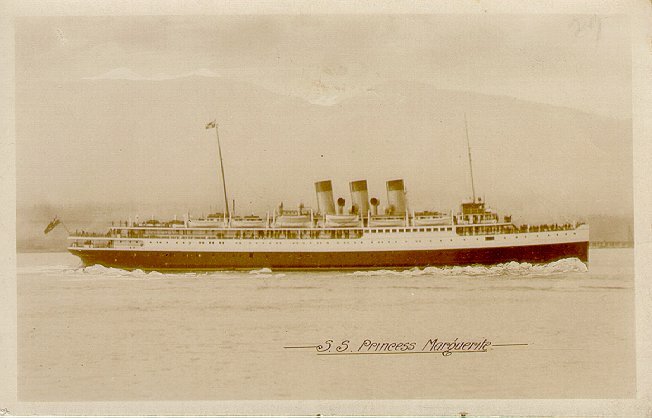 Taken over as a troop transport in September 1939, Princess Marguerite was torpedoed and sunk north of Port Said on 17 August 1942, with 49 deaths.